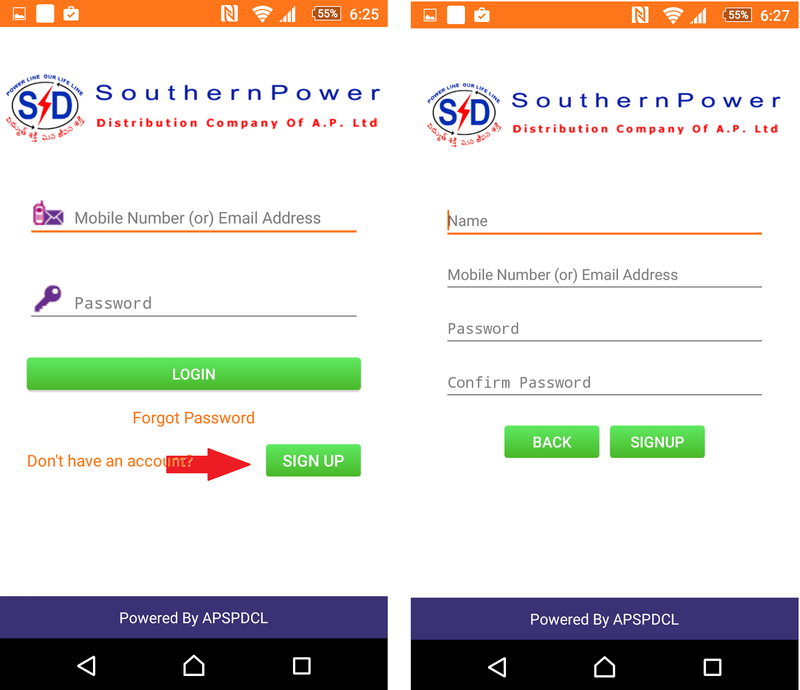 Now Pay your Electricity Bill Payment through your Smart Mobile Phone, APSPDCL (Andhra Pradesh Southern Power Distribution Company Limited ) introduced New Android app , for Andhra Pradesh People, pay their Electricity bill payment easily. Present generation everybody have Android Mobile phone, People can pay Current bill through using their mobile phone.this service for people who pay Electricity bill standing in long Queue, So avoid long Queue, and timing also save. 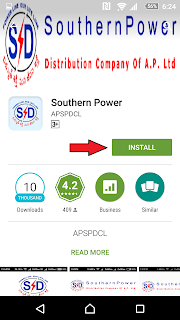 How to download APSPDCL Android app ? 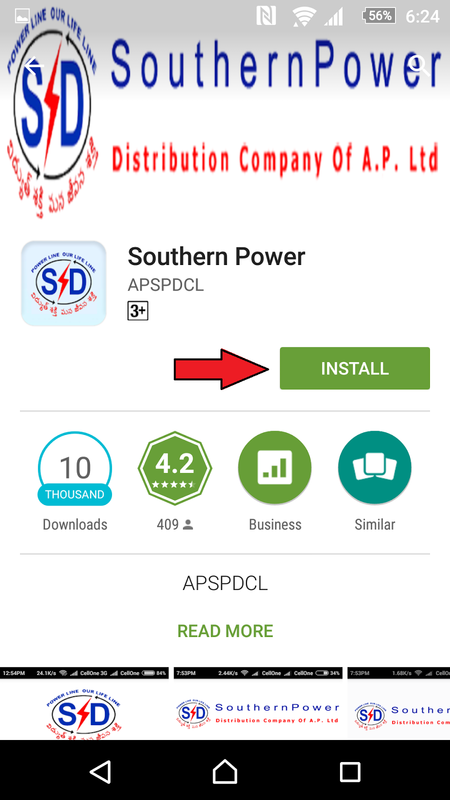 How to Install & Register in APSPDCL Android app ? 2. 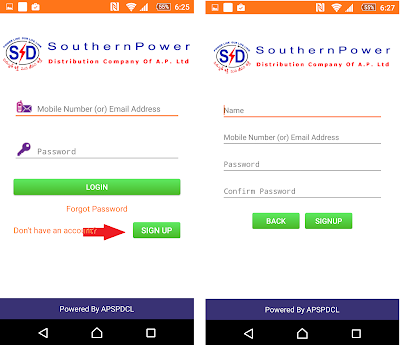 After installation, you need to register your Name and Mobile Number in the APSPDCL Electricity bill payments Android app. 3. Click on " SING UP" Button for Register your Name & Mobile Number in the APSPDCL Android Mobile app . as shown in the below Screen Shot . 4. After login Click on "Register" Button. 5. Now Enter Your 13 digits Services Number and click on "Register Service" Button. 6. Now Successfully Completed your Registration, Now your APSPDCL Android App ready for pay Electricity bill payment through mobile phone.